Is he a keen golfer? You can personalise many these golf towels to include his name which would make a great gift to give. 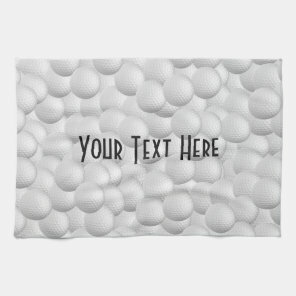 These golf towels are available to customise and buy from Zazzle and they are also machine washable. From customisable golf towels that you can add your own text to to patterned towels, these towels are ideal for cleaning golfing equipment! 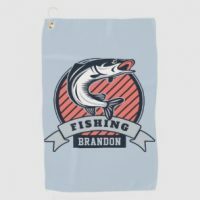 If you can’t find the right design for you, you can also create your own golf towel by uploading your own photos and text or visit Zazzle for more personalised golf towels.